Mike Margarucci, a world traveler and sports lover from USA, now Demand Planner at ROCHE in Switzerland. He studied the Dual Degree Program IE Business School – MIT ZLC that combines an International MBA and a Master of Engineering in Logistics and Supply Chain Management (ZLOG). Your career path comes across as both intense and high-flying. What prompted you to, effectively, “go back to school”? The decision to get a masters was a combination of a few factors. I felt at the time my career needed a jumpstart to move to the next level, I found myself missing some technical knowledge of supply chain but also overall business knowledge. This was preventing me from getting the type of positions and responsibility I desired. I also felt these skill sets I would not easily get from experience, I needed something more intensive. In addition, from a personal standpoint I wanted to take an opportunity to step back in my career and reflect on what I wanted to do and where I wanted to go. Going back to school and living a couple years in Spain seemed like the perfect opportunity to achieve both objectives. The Dual Degree obviously has quite a few unique advantages in general, compared to other traditional degrees, but what was it that sold it to you personally? The Dual Degree for me was a perfect combination of many things. I was able to get a strong general business background through the case study method of a MBA at a large Business School with a big alumni network. Then with ZLOG I was able to experience a small personalized program that provided in depth technical knowledge in my specific area of career interest, supply chain and logistics. The opportunity to obtain both of these experiences in less than two years was the final selling point. In my professional life now I often find myself leaning on both my technical supply chain knowledge from ZLC and my general business experience of IE. Never mind the academic considerations of the course, it automatically implied a move to Spain. How well did you adapt – any highs/lows to report? Anyone who knows me, knows I have a deep love for Spain and Spanish culture after my two years living there. So for me this was one of the best parts about doing the dual degree program. However even with my love of Spain, by no means was everything easy. Living in a foreign country tends to make the seemingly the most simple task difficult, complicated and time consuming. Luckily, both ZLC and IE provide a wonderful support network to help you transition to life in Spain. In addition, the Spanish people are extremely warm and welcoming. But most of all, your fellow classmates are also in the same situation. You quickly develop long lasting friendships and support each other. For all the highs and lows I experienced in Spain, I always remember I was never alone and had great friends by my side (y por supuesto una caña y una tapa también!). You never stand still! Following your graduation from ZLC and Spain, you went straight to ROCHE in Switzerland and your career path jumped up a level. How has this whole experience affected your professional life?I found the experience of doing projects with people from around the world and with very different professional backgrounds was one of the most challenging aspects of the Dual Degree Program. Achieving consensus and decisions during group projects could be extremely challenging and time consuming. Now I realize this was one of the most important skills that I use constantly in my day to day work at Roche. In this aspect the program really prepared me to live abroad and work in a very multi-national environment at Roche.And Basel? There must be over 20 ZLOG graduates working there. Do you socialize with them? Have they managed to integrate successfully into Swiss society?Having the opportunity to work and live with ZLOG alumni from around the world here in Basel is great. We are quite a close network and meeting on a regular basis. Similar to the experience of trying to adapt to life in Spain, the fellow ZLOG alumni are a great support network to integrating and adjusting to life in Basel. 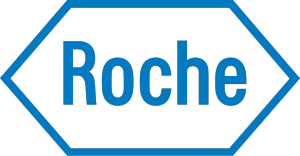 From a professional standpoint, it is wonderful to have a network of people both inside and outside Roche to go to for advice. The strong network we have of alumni in Basel is a benefit to all of us but also to our companies. How do you look back on your Dual Degree/Spanish Experience? What have you gained in terms of personal growth? For me going back to school was not only a professional decision but also a personal decision. And ZLC and IE provided an amazing personal experience. Interacting daily with such a diverse student body that IE and ZLC have, is truly a transformational experience. Now I consider myself lucky to have friends from all over the world who have completely different backgrounds and experiences. During the two years in Spain, I learned many business and supply chain concepts, but more importantly I learned a lot about myself. This personal transformation during the Dual Degree program is what has made the program truly unforgettable and priceless.